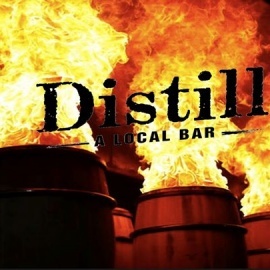 From the creators of Remedy's Tavern and Elixir, Distill is the newest neighborhood bar in Summerlin, conveniently located off I-215 and West Charleston Blvd. at 10820 West Charleston Blvd., Las Vegas, NV 89135 – inside the Costco shopping complex, with comfortably priced, house-made cocktails and handcrafted food, a VIP Gaming Club to increase winning, a relaxed environment to hang with friends or make new ones, Happy Hour twice daily and more. Open 24 hours a day, seven days a week, Distill is always ready to serve guests with a smile, whether it is a delicious selection from the food menu, signature cocktail or cold draught or bottled beer from the 24 varieties available. Home to 15 brand-new 20” LCD gaming machines carrying more than 55 poker, blackjack, slot and keno games, Distill is the perfect place to kick back and play. By joining the VIP Gaming Club, players will enjoy slot promotions, exclusive parties, scratch cards and $10,000 lotto bucks every hour. Some of the many amenities Distill features include games of pool, Golden Tee Golf Game, 18 High-Def televisions, featuring nonstop sport action, and Distill's "Backyard” outdoor patio. 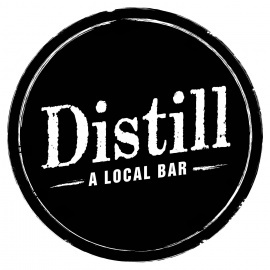 For more information on Distill, please visit www.distillbar.com or on Facebook at www.facebook.com/distilllocalbar. Distill is a 21 or older establishment. Guests must provide valid ID.